ABP has announced that it has developed an innovative renewable energy sourcing model which will enable the company to power all of its sites on the island of Ireland, exclusively from wind energy. 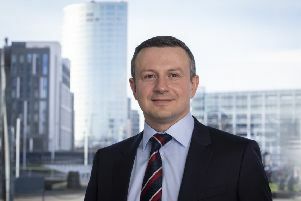 The company has entered into an arrangement with Natural Capital Partners to match its electricity consumption of all of its Irish sites with wind power. This development will help ABP achieve its ambitious 2020 carbon reduction goals almost two years ahead of schedule with a cumulative CO2 emission reduction of 350,000 tonnes across ABP’s operations since 2008. The company will now introduce science-based targets to its carbon reduction model setting even more ambitious targets. The new science based reporting will be against a 2016 baseline. The arrangement includes ABP’s eight processing sites located in Bandon, Cahir, Waterford, Nenagh, Rathkeale, Clones, Newry and Lurgan. It also includes the company’s Pet Food production facility in Edgeworthstown and the Proteins sites in Waterford and Cahir. Commenting on the announcement, Dean Holroyd, Group Technical and Sustainability Director, ABP, said: “We are delighted, ahead of schedule, to have achieved our target of becoming a lower carbon business. Not only are we sourcing 100% renewable energy to power our operations in Ireland, but we are significantly driving down our consumption, thereby helping our customers to source meat produced with a lower carbon footprint.” We are now in a great position to adopt a science based target reduction model that will closely align ABP’s sustainability agenda with the Paris climate accord,” he added. In January, ABP’s Renewables Division, Olleco, beat 40 other innovative organisations from across the globe to become one of just two finalists for a prestigious global environmental award at the World Economic Forum. The company was recognised for its outstanding contribution in helping develop circular economy solutions with respect to food waste in the food service and hospitality sectors. Furthermore, ABP has previously achieved quadruple accreditation from the Carbon Trust in recognition of the progress it has made in reducing its environmental impact. The Carbon Trust Standard is the world’s leading independent certification of an organisation’s impact on the environment, verifying action on energy use, Co2 emissions, water use and waste output. It recognises continuous excellence and year on year improvements in the area of environmental performance.